January 9, 2018 – Like Earth, space has weather. Except instead of swirling winds and downpours of precipitation, space weather is defined by shifting electric and magnetic fields and rains of charged particles. 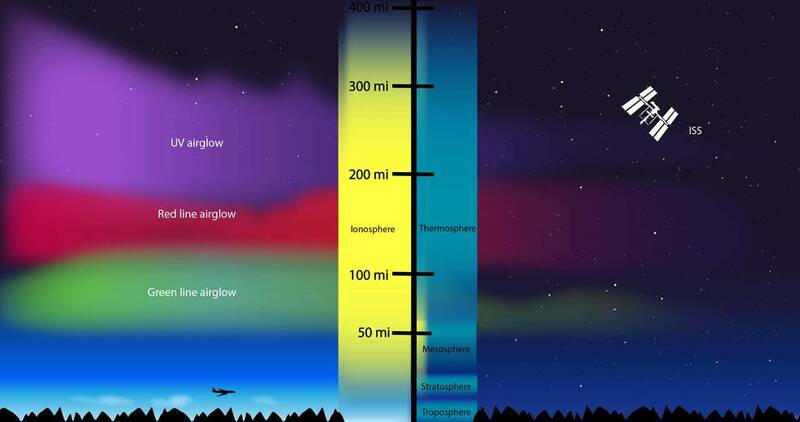 At the very beginning of space, starting just 60 miles above Earth’s surface, there’s a layer of the atmosphere that shifts and changes in concert with both types of weather. The missions could be likened to photography we’re familiar with on Earth. GOLD specializes in landscapes from its view 22,000 miles above the planet’s surface and ICON — at 350 miles above Earth — captures detailed close-ups. During parts of its orbit, ICON passes through GOLD’s field of view and each mission will get a unique snapshot of the same region. This overlap in their data makes it easier to identify what caused a certain change to the upper atmosphere at a given time. One shared goal for the missions is to systematically measure weather-related shifts in the upper atmosphere. For the first time, we’ll be able to see how the upper atmosphere changes in response to hurricanes and geomagnetic storms alike. Several types of terrestrial weather events are of particular interest. Scientists from the University of California, Berkeley, for example, have developed a theoretical model of El Niño’s repercussions on the ionosphere. Their model suggests El Niño-driven warming of the Pacific Ocean causes an increase in water vapor, which in turn increases the amount of solar energy the atmosphere absorbs. That added heat causes wind patterns to fluctuate and alter conditions in the ionosphere. Tropical cyclones are also suspected to have effects on the ionosphere. Data from ICON and GOLD are expected to answer these questions and further reveal unanticipated mechanisms at work. In addition to working together to determine how different types of energy flow through the upper atmosphere, the two missions also have their own research objectives. GOLD’s science focuses on observing what drives change — the Sun, Earth’s magnetic field and the lower atmosphere — in the upper atmosphere. 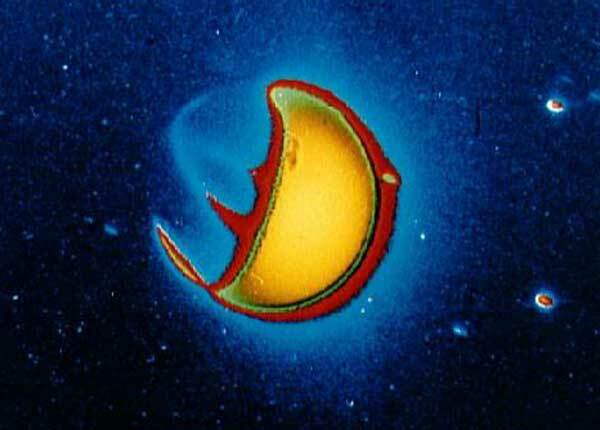 GOLD is particularly interested in how the upper atmosphere reacts to geomagnetic storms, which are temporary disturbances of Earth’s magnetic field set off by solar activity. During nighttime, GOLD examines disruptions in the ionosphere — dense, unpredictable bubbles of charged gas that appear over the equator and tropics, sometimes interfering with radio communications. ICON and GOLD join a small fleet of spacecraft that study a vast interconnected system from the space surrounding Earth and other planets to the farthest limits of the Sun’s constantly flowing streams of solar wind. A third mission in the fleet — the 16-year-old Thermosphere, Ionosphere, Mesosphere Energetics and Dynamics, or TIMED, will specifically complement the new efforts to study the upper atmosphere. TIMED, which launched in 2001, doesn’t carry all the instruments necessary to analyze the motion of the particles in the upper atmosphere that ICON and GOLD bring to the effort, but it still can provide key measurements from a third vantage point to help scientists fill in pieces of the puzzle. Together they will provide key information about how Earth’s upper atmosphere connects to the dynamic and complex system of space that fills our solar system. ICON and GOLD are Explorer-class missions. NASA Goddard manages the Explorer Program for NASA’s Science Mission Directorate in Washington, D.C. UC Berkeley’s Space Sciences Laboratory developed the ICON mission and the two ultraviolet imaging spectrographs onboard; the Naval Research Laboratory in Washington, D.C., developed the MIGHTI instrument; the University of Texas in Dallas developed the Ion Velocity Meter; and the ICON spacecraft was built by Orbital ATK in Dulles, Virginia.